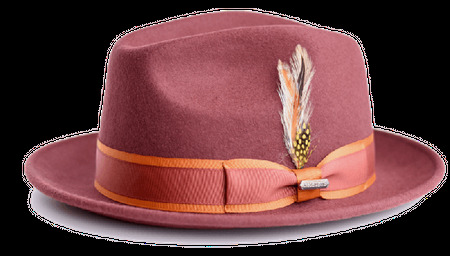 Let Steven Land show you what a stylish fedora hat is all about with their collection of fine wool felt hats. These fine fedora hats are made of buttery rich Australian wool felt and feature a fine satin lining. This is a brown color fedora that will set you apart from the crowd.